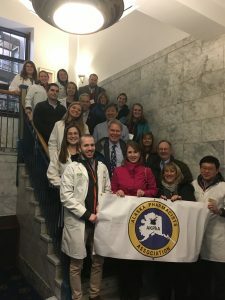 Join AKPhA as we meet with legislators to discuss bills affecting pharmacy in Alaska during this annual event! Tentative Schedule: Fly-in to Juneau on your own on Wednesday, March 6th. Meetings will be scheduled all day on Thursday, March 7th with attendees able to fly home that evening. The final schedule will be provided to participants shortly before the event. Cost: There is no charge to participate, but please RSVP to akphrmcy@alaska.net so Lobbyist Caren Robinson can coordinate appointments. All travel arrangements are to be made on your own.